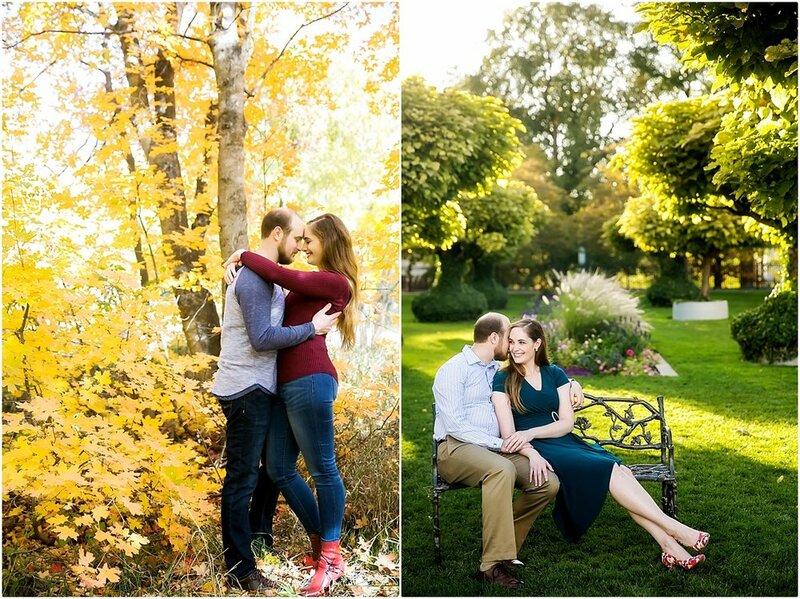 Angela Howard Photography — 5 Tips for a SUPER RAD Engagement Session! 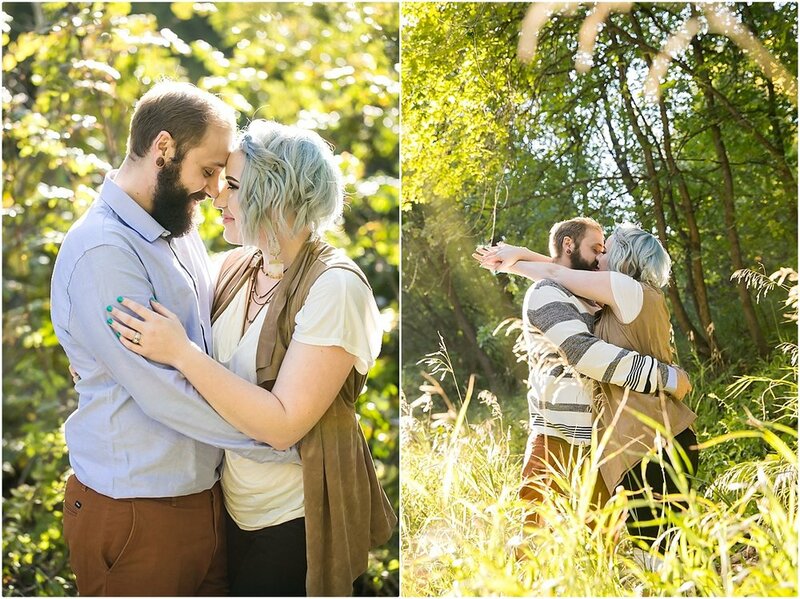 5 Tips for a SUPER RAD Engagement Session! The weather is getting warmer and the sun is starting to shine more and so that means... ENGAGEMENT SEASON IS UPON US! Woo hoo! I love when I get to hang out with my couples during their session and get to know them a little bit better – and hopefully have a super fun time in the process. I also know that many of you out there probably have questions about this whole engagement session deal. So, to help you out with that – I wrote up a SHINY, HAPPY post all about the most asked questions I get from you, my fantastic couples. Ready to get some learnin'? Excellent! Read on! This is one of the 'most asked' questions I get about engagement sessions. And, I get it - these photos are (possibly) going to be included in your invitation or wedding website so all of your friends and family are going to see it and you want to look awesome! I mean, don't we all? :D Firstly, what I always, always, always tell my couples is to wear something that you feel comfortable and confident in. Something that makes you feel beautiful and amazing, because that is going to come through in the images. Every time I have a client wear something that might be gorgeous (and they totally look amazing in it), but they don't feel quite comfortable in, it always shows. Whether it be because they have to feel like they have to stand a certain way for it to look good, or they are self conscious about looking a certain way in it, or that they are constantly needing to adjust a strap or a sleeve or a waist line – honestly, it will detract somewhat from you and your interaction with each other - and that interaction is where the magic happens. Secondly, after you find those outfits that make you feel fan-freaking-tastic, also make sure that whatever you choose, it doesn't clash with what your other half is wearing. I also suggest sticking to subtle patterns and cohesive colors. Busy patterns can sometimes take over the image and make it harder for the focus to be on you, rather than the pattern. Same with cohesive colors. You two might look the best ever, but you can't focus on that because the neon yellow and muted brown in the outfits are just not jiving together. Know what I mean? WHEN SHOULD WE DO THE SESSION? This is definitely the other 'most asked' question I get. What time is the best for light? Well, it depends on the time of year, but in the most basic terms, I'd say about 30 minutes after sunrise if you are a cool dewy, morning light lover OR about 3 hours before sunset if you are all about that golden hour (note that there is more leeway on this in the summer since the day is longer). The lights are VERY different, but both EQUALLY beautiful. HONESTY NOTE HERE: If you are totally NOT a morning person, however, I would suggest really thinking about whether it'll be good to try to drag yourself outta bed and be awesome and ready to go for a morning shoot, even if you love that light. ;D You wanna be excited and full o' energy for this session – especially because I know that most of you totally aren't in front of the camera, like EVER, and there's always a bit of a relaxation curve when kicking off this whole photo session thang. UH, WHERE SHOULD WE GO? I absolutely LOVE when my couples suggest a place that is special or important to them. Do you love your neighborhood, well that sounds amazing! Let's go there. Are you big into hiking? Okay! Let's hit your fav trail or canyon. Are you die-hard coffee lovers? Let check out a coffee house to shoot at. I think incorporating places that are a part of your story is SO fun and adds something a little extra to your session that'll make you love them that much more. AND, this goes back to that note in the “What to Wear” section about 2 different outfits too. So, let's say you are hiker extraordinaires who also love dressing up and hitting the town. Perfecto! 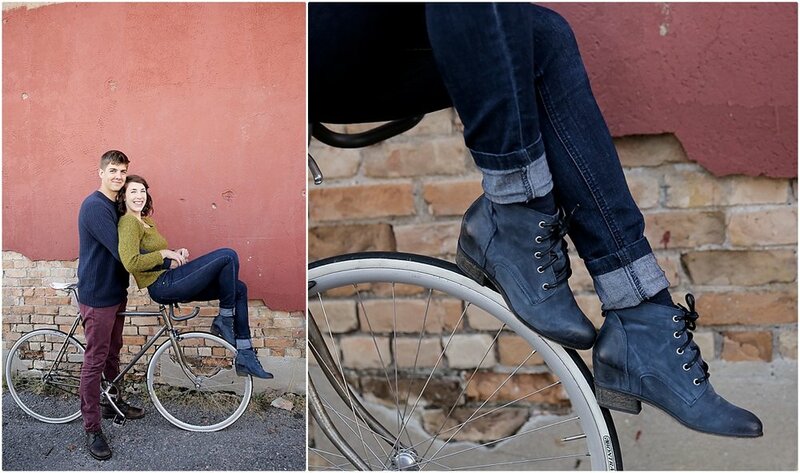 Let's start your session with a casual feel and your fav trailhead and then change into something a little dressier and go to your fav spot for a night out. Or, if you are coffee lovers who's fav place is at home and you love to cook together, well that sounds amaze-balls. Let's start out at the coffee house and then do an in-home session with you two making a signature dish together. The possibilities are endless. Also, consider the season you are wanting to photograph in. This is especially important if you want to incorporate skiing/snowboarding into your session (obviously we'd need to schedule something in the winter) or if you want the fall color as a backdrop, autumn is (obviously) going to be your jam. SHOULD WE BRING ANYTHING (PETS, PROPS, COOKIES, ETC.)??? This one is totally up to you. If you are pet parents, I will ALWAYS want you to bring your pet to part of the session. (Truthfully, I am obsessed with dogs and I will be obsessed with yours. Just want to be totally honest there. Haha) If you want to incorporate a bit of a styled shoot into your session, that sounds great to me! Or, if you want to bring something special to you two and incorporate it, I love that! Let's talk about it before the session and plan it into the timeline. Also pro tip, I'm always totes okay with the bringing of the snacks. Well fed people have WAAAY more fun than hungry people. So, let me level with you here. Yes, I will suggest some poses to get you two into a composition for a shot, especially at the beginning when you are still getting comfortable. (If you totally hate it, I won't force you though, I promise!) But, really, what I want to happen is to get you two into the idea of a set up and then see how you two interact and go from there. I want you to talk, laugh, and HAVE FUN with each other – and then I want to capture that magic. Those moments where you are giggling with each other or being silly or just holding hands or stealing a kiss... Those moments are the good stuff. That's what I'm looking for and I totally believe that those are the images that you will have an emotional tie to that will last long after the session is over. Plus, I think when you guys are doing that stuff, you are going to relax and have fun and we can have a rad time together! YAAAASSSS! I know that this couldn't possibly answer ALL of the questions you might have about engagement session stuff, but I hope it helps with the basics! I know there is a lot to consider and think about, not only with your engagement session, but with all of the wedding planning pieces overall. I totally want to help and make it as easy and as fun of a process as it can (and should) be! Cheers to engagement season! 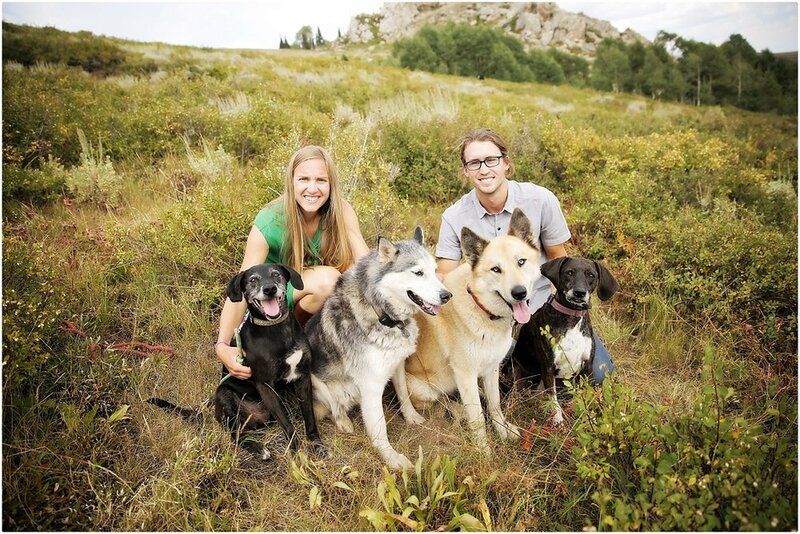 Snowy, Winter Park City Engagement Session - WITH A PUP!